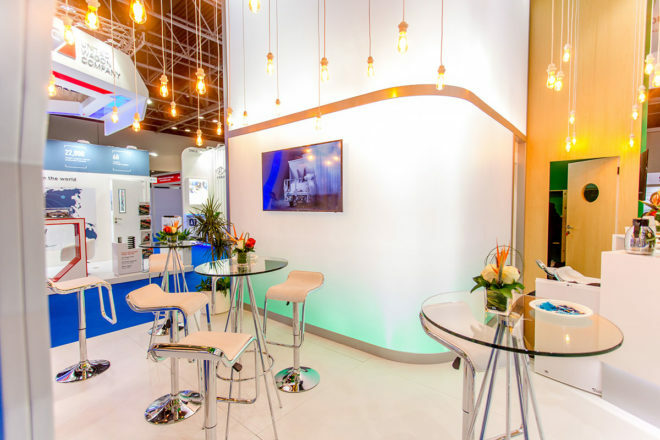 The largest and most successful rail event in the Middle East, North Africa, South Asia and Central Asia, Middle East Rail, was hosted at Dubai World Trade Centre in March 2018. 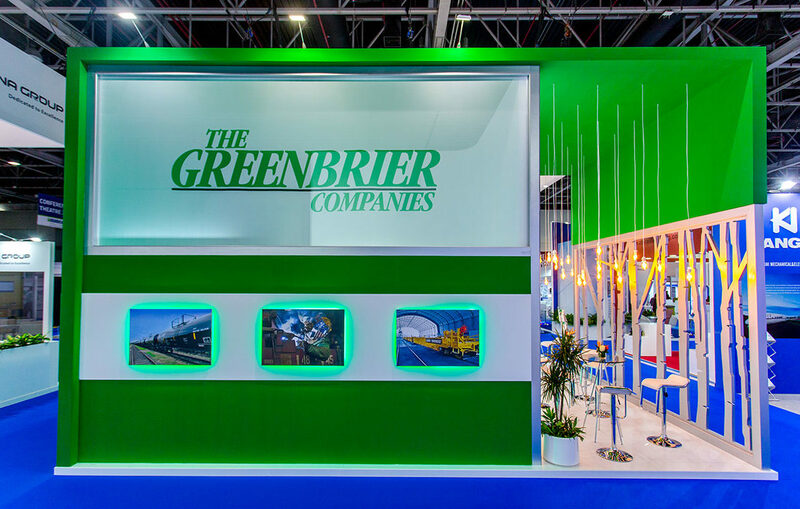 It is the only rail event to be run in partnership with the UAE government, hosting more regional and international government representatives than any other rail show. This busy event welcomed over 400 exhibitors and 800 conference attendees. To create a design in line with the client’s desire for consistency across 3 successive years while focusing on using sustainable materials. After having prepared the technical drawings, we started the production in our factory and managed the 3 days of build and dismantle. 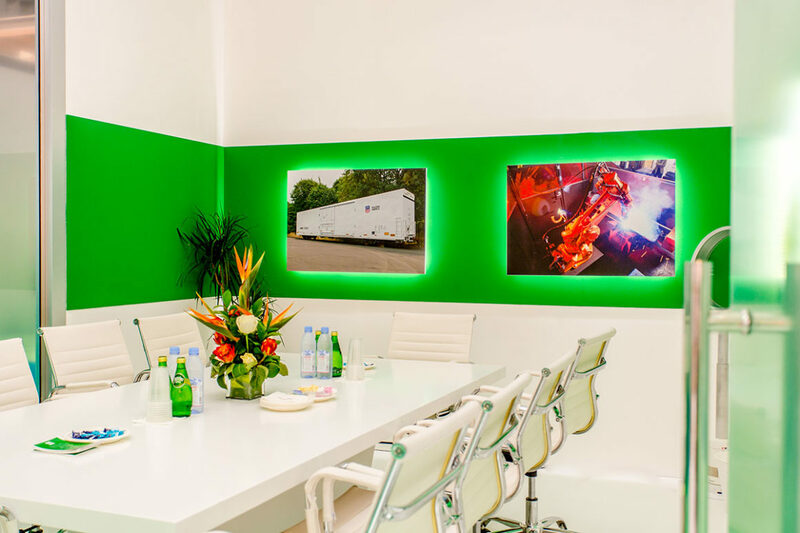 Throughout the project, the client interacted with our client project manager whose advised them, provided immediate solutions and oversaw the overall project. 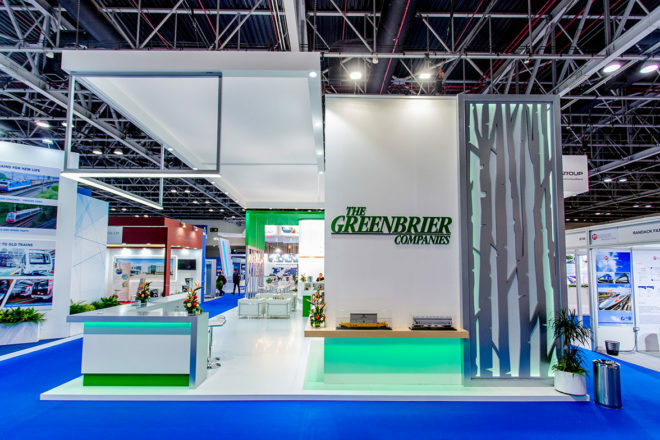 This year again, we built a 136 sqm stand for The Greenbrier Companies. 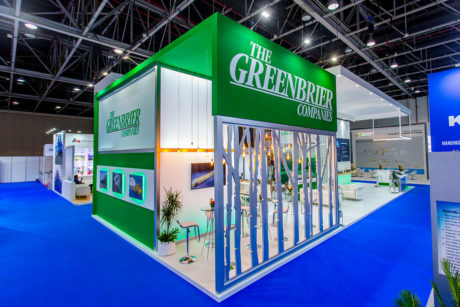 “On behalf of our Greenbrier Management and show team, I would like to thank Electra team for all the hard work you invested in our booth, as well as for your patience with our many questions and additional requests. Everyone was extremely satisfied with the look of our booth; the show went smoothly and without problems. You all deserve a big pat on your backs and our sincere thanks for a job well done.